Investors are increasingly uneasy about the ups and downs of the stock market. If you’re worried about your investments and want to reduce your debts, you’re in luck. Debt reduction gives you a guaranteed rate of return. By paying off a typical credit card, you’ll save about 18 percent interest on the amount you retire. Where else can you earn a guaranteed return of 18%? Debt reduction also buys security. A low-debt family earning $80,000 a year can be financially stronger than many high-debt families earning twice as much. If you lose your job, your level of debt can make the difference between temporary discomfort and financial ruin. 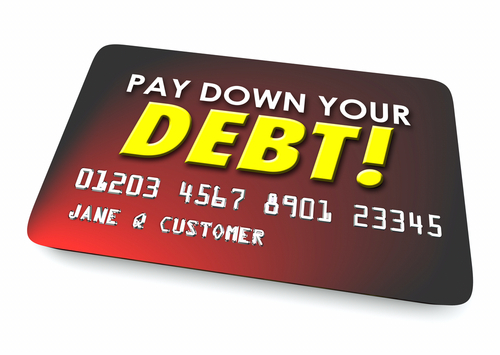 To reduce debt, you should first avoid buying anything you can’t pay for in 30 days. Then start working on your existing debts. Each month, pay as much as you can on the debt with the highest nondeductible interest rate, covering only minimum payments on the others. When you’ve retired the first debt, start on the one with the next highest rate. Continue the process until you’ve paid off everything but your home mortgage. Naturally, this is a simplified approach, and individual circumstances vary. A professional can help you set realistic goals and work with you at achieving them. If you’d like for information, please give us a call.